Add honey, dates, cacao, spices, vanilla and salt. Pulse until the dates are completely chopped and the mixture will all stick together. Add SoTru Protein Powder, pulse until blended. 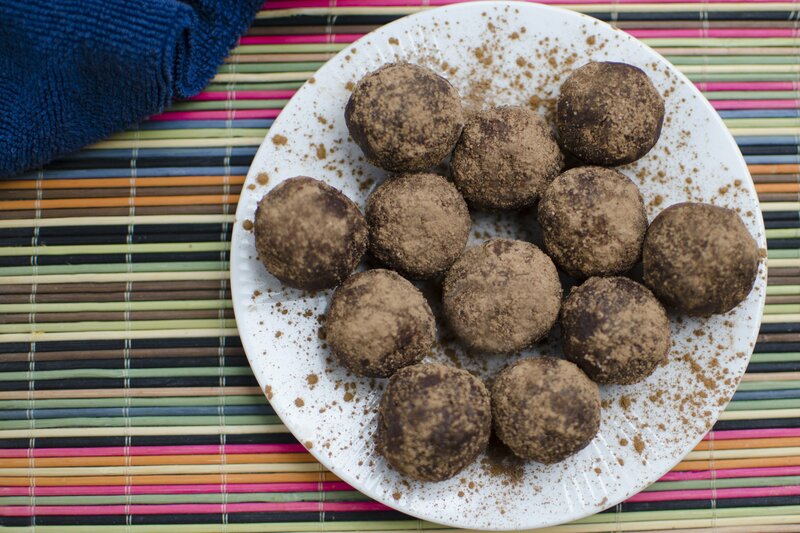 Roll into Tablespoon sized balls and keep refrigerated!